I'm originally from Texas, but currently I live in Wisconsin. I am 48 years old, a college student, and the mother of 2 teen boys and 2 adult girls. I'm pagan, I dream of homesteading, and I am an outdoorsy, adventurous kind of girl. I'm tired of putting myself down and putting myself last, and I am not going to abuse my body any more! 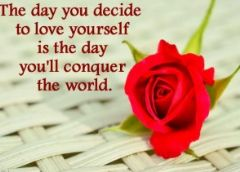 I am committed to building my self esteem and learning to love myself. I hope to find others that feel like I do!